Within any ministry or church, a clear system of accountability is essential. Yet when things get busy, that’s one of the areas that often falls to the wayside in the midst of the urgent. We may have good intentions, but entropy can take over unless we make an ongoing commitment to accountability. 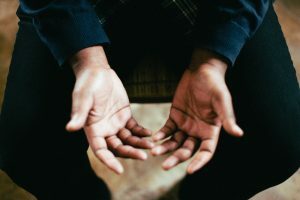 Especially in the church, we need to be the first to acknowledge and address sin, and there are some simple steps we can take in that direction. Ensure that everyone has someone to meet with that they can share the real challenges of life. Often peers are safer options than supervisors, but decide corporately what will work best in your organization. Make a commitment to vulnerability and transparency. Make this public within your ministry. Talk about it regularly so it becomes a part of the culture. Make sure everyone expects accountability. No one likes to feel checked up on, so make sure that whatever you do, people know it applies equally at all levels and in all roles. Make your accountability plans transparent. Ensure that everyone knows who is accountable to who. That way if people practice conflict resolution as described in Matthew 18, people know the appropriate person to go to if direct communication fails. Recognize that accountability only works if you’re honest though. It starts with you, and extends to all of those in your organization. You can’t force others to be honest and transparent– you can only model it. The other side of the issues is that often the reason people aren’t honest is because we’re afraid we’ll be crucified. So we also need to create in our ministries safe places where people can actually share challenges, places where honesty is safe and honored. The best accountability system in the world only works to the degree we’re honest with each other. When it does work, benefits are immense. Internally, it provides a sense of covering and protection… knowing that you are known and loved by others. Externally, ministries that practice accountability are able to serve as healthy ambassadors for Jesus, reflecting his love to the world by living above reproach. Living in a spirit of humility and accountability helps you and your ministry gain respect within the community and beyond. If you found this blog post helpful, you may be interested in Becoming Barnabas.